13 January 2019, on the Sunday after the Nativity of the Lord, Metropolitan Vladimir of Chisinau and Moldova visited the Monastery of St. Martha and Mary in the community of Hagimus, Causeni region, to celebrate the Divine Liturgy with the monastics. 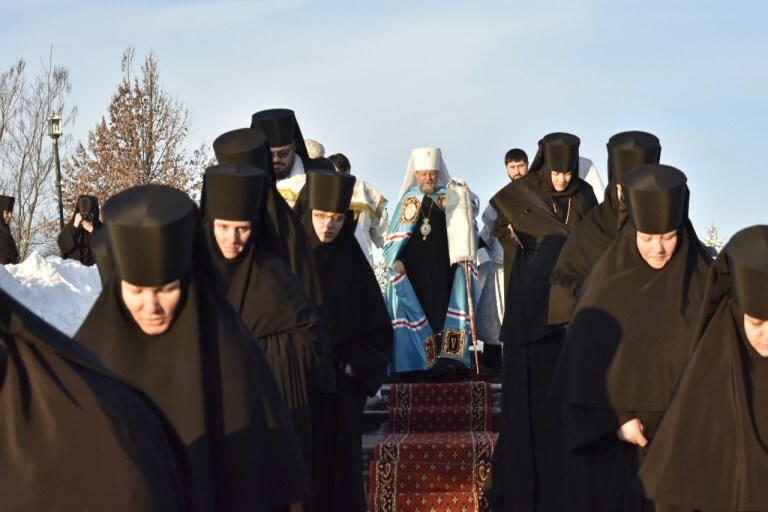 The Arch-pastor was assisted at the Divine Service by archpriest Vadim Cheibas, metropolitan secretary, Archimandrite Andrei (Cotruta), the father confessor of the monastic community, and a group of clergy. A Thanks-giving service was officiated after the Liturgy, and the arch-pastor congratulated the monastic community and pilgrims on the Feast of the Nativity of the Lord, and wished them spiritual ascension, health and strength for the coming year.